So I found this GREAT product called the Window Wedge. It is made by Randy and Marge of Cresci Products, Inc. Randy is a retired NYPD Detective who remembers responding to many incidents of children falling from windows. This is why he designed the Window Wedge. Each Wedge is made of durable ABS plastic. They are installed with a easy hook and loop installation method. No tools, no screws, no nails, no window damage. This installation method ensures the safety and security of the window opening (which you control) as well as makes it removable for emergency situations. Randy suggests that for children's windows you make the opening no more than 4". Don't have kids? You can still use the Window Wedge to ease you nerves and add some home security. The product is a big deterrent to criminals. The harder they push, the tighter the Window Wedge engages. So my new friends Randy and Marge were nice enough to send me 4 packages of Window Wedges to give a way to my readers. (Well the actually sent me 6 packs but I used two packs on 4 windows, yes that is correct you only need ONE wedge per window and there are TWO wedges per pack!) I originally thought I only needed the wedge for one window but with another little on the way I started looking at the other windows in our house and which ones the kids have access to, so I used more! So here is the giveaway. Four lucky winners will receive one pack (two wedges per pack). Here's how to enter. To enter post a comment why you need Window Wedges in your home. Entries will be accepted through November 30, 2008 and I will pick the winner using Random.org. US readers are only eligible. Make sure you leave an email address in your comment or that you have one accessible on your blog so you can be contacted if you win! I will also list the winner on PRIZEYwinners so if you are a subscriber to PRIZEYwinners you do not need to leave your e-mail address. If you do not send me your mailing address within one week of notice of winning I will give your prize to someone else. Non Bloggers (or bloggers) subscribe to my mailing list/RSS feed and earn another entry! Must be a NEW subscription, current subscribers may not sue this as extra credit. Thanks for linking back to SweepsAdvantage, and congrats on the new Littlest Man (or Woman)! My niece's bedroom is on the third floor of the house. She usually opens her window and plays near it. She knows to stay away, but I would love to put these on her window. Thanks for the giveaway! We need this because I have 3 kids (and one on the way) including a toddler boy. 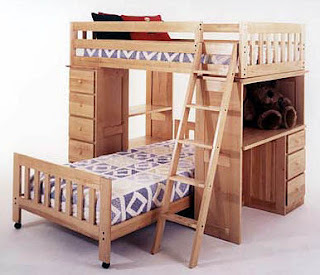 All of our kids' beds are near windows, so I definitely would feel a lot safer with this. My little guy is just figuring out how to get into everything, and I have doubt he'll figure out the windows soon. I'd love something like this. I need this because I have a son under the age of five. And because the window in his room is original to the house, it doesn't have the built-in latches that our newer windows do. I need these -- both of my children have upstairs bedrooms, and though we've already taken precautions to prevent them from opening their windows, one more safety addition would put my mind more at ease! Thanks! wow this is such a great idea and so needed! We have a two year old little boy, who loves to climb. His room is on the second floor. A product like this would give me peace of mind. I've been looking for something like this. Last summer, I kept is window locked, for saftey sake. We need one in our daughters bedroom. We never open the window in there for fear of them falling out 2 stories. What a great idea. i need this for my grand kids because they love to open and close windows. I need Window Wedges because my 16-month old is learning how to climb up on everything in the house so I would like to secure the windows, just in case! Oh wow we could really use these. All of the windows in our house a really low to the ground. Especially in the nursery. The window is about a foot and a half off of the ground and dear daughters crib is not to far from it. We could really use these for when she gets a little older. I need these because I have one of the most active little boy (and I am afraid the littlest one will learn by example). We live in a two story home with all boy's bedrooms upstairs. The one I am most worried about (the 16 year old is fine I hope) has started climbing on things, moving them to where he wants and getting up higher... It is only a matter of time until he wants to see out his windows. This could save my sons life! Who wouldn't want one? "Most often, children who fall from windows are boys under the age of 5 who are playing unsupervised"
my son is 3 and sleeps on the 1st floor. hes just learnt how to open the windows! Scary thoughts. We just moved to a new home and our baby is climbing everywhere. I would love these to get some peace of mind. Thanks! These window wedges are perfect! Not just for keeping the little ones safe from falling, but also from intruders getting in! I know I could definitely use them in my neighborhood. well, i deffinetly need these, my daughter at 4 yrs old likes to climb out her window. there is no lock on it, we live in an apartment. we have scolded her but these would be so handy. I would love this for my daughter. With 5 little children I would feel a little less concerned about their safety. Thank you!